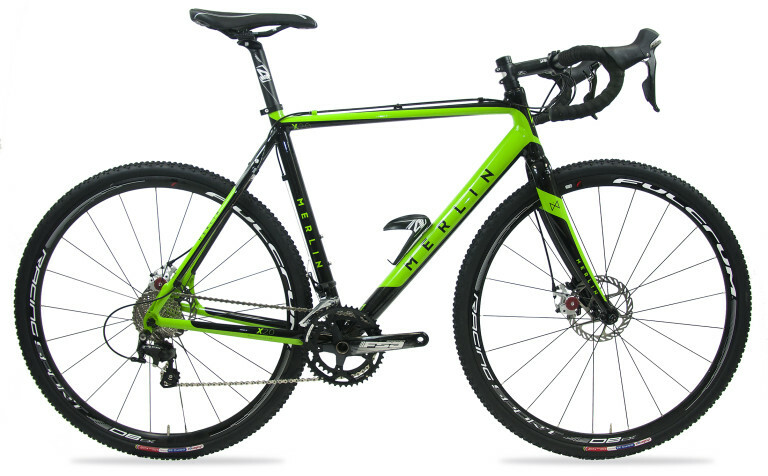 “There may be cyclocross bikes out there with sexier names than the Merlin X2.0, but given the great ride on offer, you could certainly make worse choices if you’re after a bike that will more than hold it’s own while racing, commuting, or just larking about in the local woods. “As you’d expect from a bike of this price there’s no fancy carbon frame, although you do get a carbon fork which does a great job reducing buzz while zipping over gravel tracks. The aluminium frame results in a slight weight penalty, with the Merlin X2.0 hitting the Cycling Weekly scales at 10.45kg. This was an issue on short, punchy climbs, especially when accelerating up them from a near standstill, but not really noticeable for the rest of the time. “Disc brakes have now become an almost mandatory inclusion on entry-level cyclocross nowadays, and the Merlin X2.0 is no different. Merlin have chosen to equip Avid BB7 Road Discs with 160/140mm rotors as opposed to Shimano discs. These mechanical discs performed superbly in all conditions, particularly outperforming cantilevers in the wet. Stopping power and modulation were both superb and we were at ease controlling speed on fast descents. Tagged commuter, commuting, cx, cycling weekly, cyclocross, merlin, review, x2.0. Bookmark the permalink.